Why Invest in L&T MF Schemes? How to Invest in L&T Mutual Fund Online? L&T Mutual Fund is a well-known fund house in India. It was constituted under the sponsorship of L&T Finance Holding Limited and the trusteeship of L&T Mutual Fund trustee Limited. Investors planning to invest in L&T can choose from a range of options like— equity, debt, hybrid, etc. Equity Funds are a good option for a long-term Investment plan. You can aim for a long-term wealth creation by Investing in equity funds. To earn optimal returns over a short period, you can prefer investing in Debt fund. Hybrid funds, also known as Balanced Fund, act as a combination of both debt and equity funds. Investors who wish to seek dual benefits, i.e., to build long-term wealth and also earn regular returns over time, can invest in balanced funds offered by L&T MF. However, to make good profits, investing in a good fund is important. 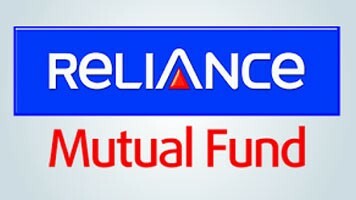 Therefore, we have listed down the top 10 best L&T Mutual Fund schemes to invest in 2019. These funds have been shortlisted by undertaking certain parameters like AUM, NAV, past performances, peer average returns, etc. L&T Mutual Fund offers a diverse range of scheme to cater the varied requirements of the individuals based on their expected returns, risk-appetite, and many related factors. Individuals can purchase and redeem their funds as per their convenience without much hassle either through online or offline mode. L&T MF evaluates companies by considering numerous parameters such as liquidity, business attractiveness, management track record, and much more. To generate long-term capital appreciation from diversified portfolio of predominantly equity and equity related securities, in the Indian markets with higher focus on undervalued securities. The Scheme could also additionally invest in Foreign Securities in international markets. L&T India Value Fund is a Equity - Value fund was launched on 8 Jan 10. It is a fund with Moderately High risk and has given a CAGR/Annualized return of 14.9% since its launch. Ranked 4 in Value category. Return for 2018 was -11.4% , 2017 was 41.3% and 2016 was 8.1% . expected amount after 5 Years is ₹505,644. To generate long-term capital appreciation from a diversified portfolio of predominantly equity and equity related securities, including equity derivatives, in the Indian markets with key theme focus being emerging companies (small cap stocks). The Scheme could also additionally invest in Foreign Securities. L&T Emerging Businesses Fund is a Equity - Small Cap fund was launched on 12 May 14. It is a fund with High risk and has given a CAGR/Annualized return of 20.2% since its launch. Ranked 2 in Small Cap category. Return for 2018 was -13.7% , 2017 was 66.5% and 2016 was 10.2% . expected amount after 5 Years is ₹493,520. S.N. Lahiri 12 May 14 4.73 Yr.
To generate regular income through investment in a portfolio comprising substantially of floating rate debt/money market instruments, fixed rate debt/money market instruments swapped for floating rate returns, and fixed rate debt securities, Government securities and money market instruments. L&T Money Market Fund is a Debt - Money Market fund was launched on 10 Aug 05. It is a fund with Moderate risk and has given a CAGR/Annualized return of 7.8% since its launch. Ranked 12 in Money Market category. Return for 2018 was 7.3% , 2017 was 7.5% and 2016 was 9.1% . expected amount after 3 Years is ₹206,148. Jalpan Shah 3 Apr 17 1.83 Yr.
Vikas Garg 3 Apr 17 1.83 Yr.
To generate reasonable returns through a diversified portfolio of fixed income securities. L&T Flexi Bond Fund is a Debt - Dynamic Bond fund was launched on 30 Aug 06. It is a fund with Moderate risk and has given a CAGR/Annualized return of 5.6% since its launch. Ranked 4 in Dynamic Bond category. Return for 2018 was 6.1% , 2017 was 2.9% and 2016 was 14.8% . Shriram Ramanathan 30 May 16 2.84 Yr.
Jalpan Shah 30 May 16 2.84 Yr.
To seek to generate reasonable returns by predominantly investing in arbitrage opportunities in the cash and derivatives segments of the equity markets and by investing balance in debt and money market instruments. L&T Arbitrage Opportunities Fund is a Hybrid - Arbitrage fund was launched on 30 Jun 14. It is a fund with Moderately Low risk and has given a CAGR/Annualized return of 6.6% since its launch. Ranked 5 in Arbitrage category. Return for 2018 was 6% , 2017 was 5.8% and 2016 was 6.5% . expected amount after 5 Years is ₹357,992. Venugopal Manghat 30 Jun 14 4.59 Yr.
Jalpan Shah 24 Jan 19 0.02 Yr.
Praveen Ayathan 30 Jun 14 4.59 Yr.
L&T Hybrid Equity Fund is a Hybrid - Hybrid Equity fund was launched on 7 Feb 11. It is a fund with Moderately High risk and has given a CAGR/Annualized return of 12.5% since its launch. Ranked 5 in Hybrid Equity category. Return for 2018 was -3.8% , 2017 was 27.8% and 2016 was 4.3% . S.N. Lahiri 24 Nov 12 6.19 Yr.
Shriram Ramanathan 30 May 16 2.68 Yr.
To generate long-term capital growth from a diversified portfolio of predominantly equity and equity-related securities. L&T Equity Fund is a Equity - Multi Cap fund was launched on 16 May 05. It is a fund with Moderately High risk and has given a CAGR/Annualized return of 16.4% since its launch. Ranked 25 in Multi Cap category. Return for 2018 was -4.5% , 2017 was 34.2% and 2016 was 3.6% . L&T Tax Advantage Fund is a Equity - ELSS fund was launched on 27 Feb 06. It is a fund with Moderately High risk and has given a CAGR/Annualized return of 13.7% since its launch. Ranked 7 in ELSS category. Return for 2018 was -8.1% , 2017 was 42.3% and 2016 was 8.1% . To generate capital appreciation by investing primarily in midcap stocks. The scheme will invest primarily in companies whose market capitalization falls between the highest and the lowest constituent of the Nifty Free Float Midcap 100. L&T Midcap Fund is a Equity - Mid Cap fund was launched on 9 Aug 04. 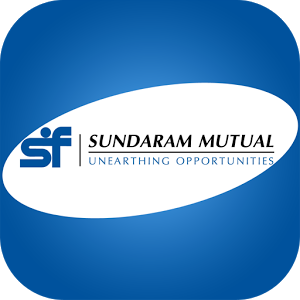 It is a fund with High risk and has given a CAGR/Annualized return of 19.4% since its launch. Ranked 5 in Mid Cap category. Return for 2018 was -12% , 2017 was 52.3% and 2016 was 9.8% . expected amount after 5 Years is ₹530,691. S.N. Lahiri 22 Jun 13 5.61 Yr.
Vihang Naik 28 Jun 16 2.6 Yr.
L&T Business Cycles Fund is a Equity - Sectoral fund was launched on 20 Aug 14. It is a fund with Moderately High risk and has given a CAGR/Annualized return of 9.6% since its launch. Ranked 19 in Sectoral category. Return for 2018 was -17.5% , 2017 was 45.6% and 2016 was 3.2% . Venugopal Manghat 20 Aug 14 4.45 Yr.
☆☆☆☆☆ Rated 5, based on 5 reviews.